(L’Enseignement du français aux enfants) is a unique teachers certification program with 200 hours of training that will provide substantial amount of skills in teaching French to children and teenagers. Entire program is online and can be completed within two to three months. 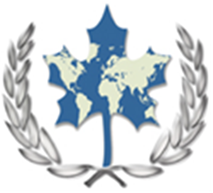 TFC is accredited by TESOL Canada with wide range of employment opportunities in Canada and overseas. The Pre-requisite for this program is completion of ECC TFSOL program. Graduates of TFC Certificate program may start an employment position or follow up to Post Graduate Diploma or Masters in Education through university affiliates of ECC. La formation EFE à Éducation Canada vous permet de devenir un (e) enseignant (e) en français langue seconde qualifié (e) et expérimenté (e). Avec ce Certificat, vous pouvez travailler dans des écoles de langues privées à Montréal, en Amérique du Nord et dans le reste du monde. La formation vous offre la théorie et la pratique dont vous avez besoin pour devenir un (e) enseignant (e) en langue seconde compétent (e). À la fin de votre formation, vous compterez 100 heures d’enseignement pratique à votre actif. To be completed within four months at Education Canada College. All Diploma programs offered at Education Canada may be conducted online. Theoretical aspects of the courses can be conducted correspondence/ online while the experience part may be conducted in a representative school of Education Canada College in your country or it may also be completed Online. Completion TFSOL / DELFI Certificate Program. Obviously children do not all fit neatly into categories and their development will depend on their personality, maturity and previous learning experiences. You will have no doubt to recognize how your own students fit the descriptions. Games are motivating and help make language memorable, so try to think of lots of fun ways to practice the new letters and sounds that you are introducing to the children. The materials that you will find in this course are designed for children between the ages of approximately 5 and 8. Children vary as much as adults in terms of language level and personality, so you are the best person to decide which activities will suit your students. Are they reluctant to say things in French in front of their peers? Do they have few or no opportunities to practice spoken French outside the classroom? Do you want them to speak more French in class? If you have answered ‘yes’ to any of these questions, you will learn how to deal with these situations through out this course. 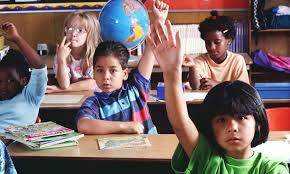 Students who are faced with a text in class and asked to read it and answer questions often find the task difficult. Once they have had some disappointing attempts at this kind of reading they lose motivation and it becomes even harder for a teacher to get them involved in the task and eventually successful. We want the classroom task to help students develop the reading skill as well as other skills like speaking, writing and language areas like vocabulary and grammar and to motivate and challenge them. Following are various addition subjects that are included in the TEC program.